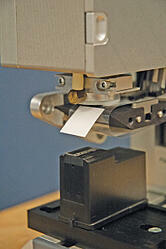 The most critical adhesive applications require tight tolerance die cut components. Assembling products with these components can be challenging, especially when the placement of the component has critical tolerances that impact performance and durability. Strouse has partnered with Accuplace to help manufacturers achieve assembly automation. Together, we are enabling organizations to become more efficient, accurate, and scalable with their manufacturing. No longer are customers required to bring together an adhesive converter, an automation equipment vendor, and manage the relationships from design and development through mass production manufacturing. You can now achieve this with Strouse as your single vendor for adhesive and automated component assembly. 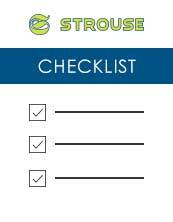 Strouse is a full-service adhesive tape converter that works hand-in-hand with you and your development team. We'll design prototypes and small production runs as you scale manufacturing all the way through mass production of adhesive components. We've always been focused on the goals and success of our customers and the best way to ensure this is by truly partnering with you to help meet your business objectives each step of the way. This was the basis for our Sample Express program, a way for us to invest in our customers and help them remain nimble as they work on developing prototypes. Are you working on a product design of your own? Learn about Sample Express, the best way to test adhesives with minimal cost and minimal commitment for any project.